"Pretty" hasn't been in fashion for quite some time, as the street style crowd has been wearing scruffy streetwear thanks to Demna Gvasalia, the lead designer at Balenciaga and Vetements. "Ugly" items such as dad trainers, trench coats, oversized knitwear and distressed denim might still be a firm fixture on our Instagram feeds, however, we are big believers at Who What Wear UK that sometimes nothing beats a very pretty dress, which is why we are so excited by this one emerging trend. The S/S 18 catwalks were awash with vintage florals, sugary shades, ruffled details and silhouettes that exaggerate the waist—all given slight tweaks to feel refreshingly modern. The hero product in this pretty revival is, unsurprisingly, the dress. Whether you're looking to dress up a little more every day or have a stack of wedding invites that require some serious outfit planning, we've found 17 of the prettiest dresses around. 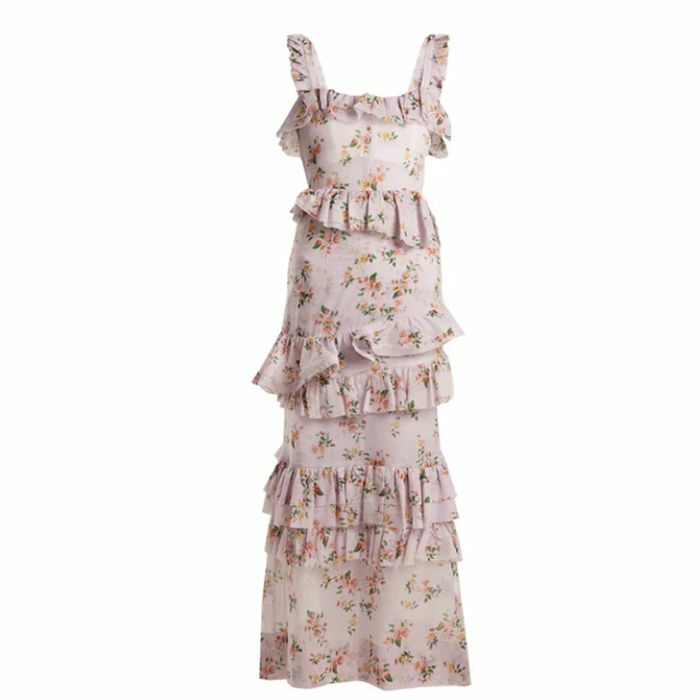 If you aren't budgeting, then Brock Collection's lavender floral ruffle dress is the dream purchase, meanwhile Ghost, & Other Stories and H&M are our go-tos for if you don't have thousands to spare. The dream wedding guest dress. Ghost is one of our go-tos for dresses. Fearne Cotton wore this with black tights. This will be a saviour when summer arrives. The delicate straps are ever so pretty. This is Self-Portrait's standout dress of the year. We love the button detailing. Kate Bosworth has worn this. Radish is new on our radar, meaning that you won't see dozens of people in this dress. If you can spend £726, this is high on our list. Lavender is one of the key colours for spring. If clothes can be magical, then this certainly is. This shape is really flattering. Anyone else want every single one?